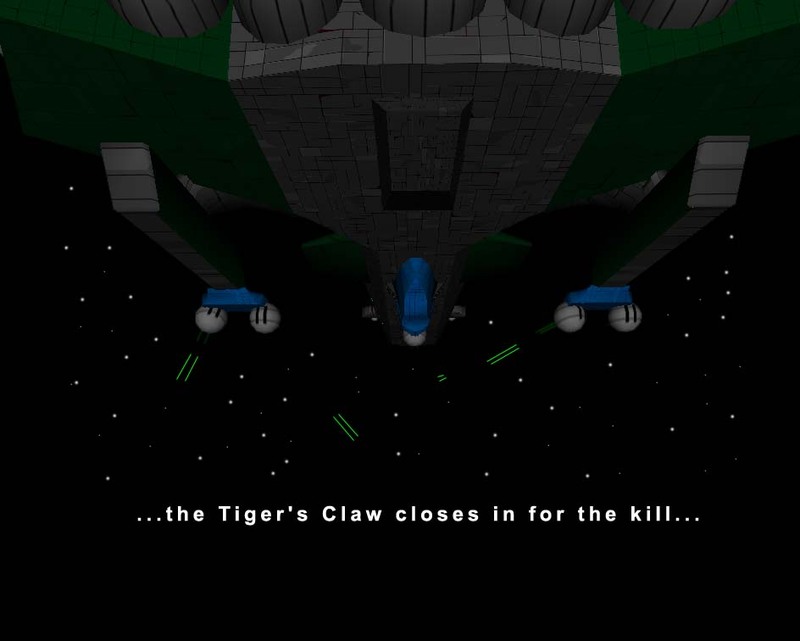 Forums poster Austin Crewman has posted a nice picture of the TCS Tiger's Claw. 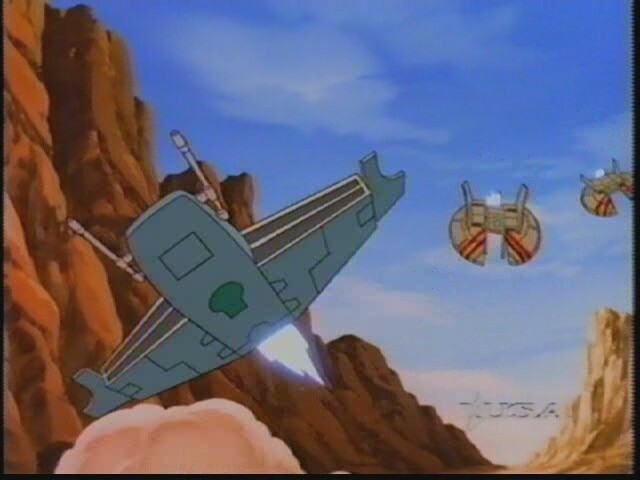 What sets this aside from just about every other Tiger's Claw picture out there is that this isn't a render. It's great to see hand drawn art occasionally. You can see Austin Crewman's pencil sketch of this art, and comment on it in this thread. Hey, someone wrote Daria/Wing Commander crossover fanfic. Note to self: kill (self). If HTL was to be printed as a regular novel, how many pages would it be? Maybe one day someone will figure that out, but for now here's Raptor with the latest chapter. 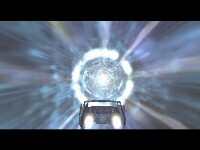 HTL continues with part seven of my Into The Inferno series, with the rather self descriptive title "Scramble!". As you saw last time, the characters' musings on their situation had been interrupted by a scramble alert. This chapter picks from there. Please send any and all comments back to yours truly. The helpful GameFAQs website is now running a poll for "Best Game Ever." 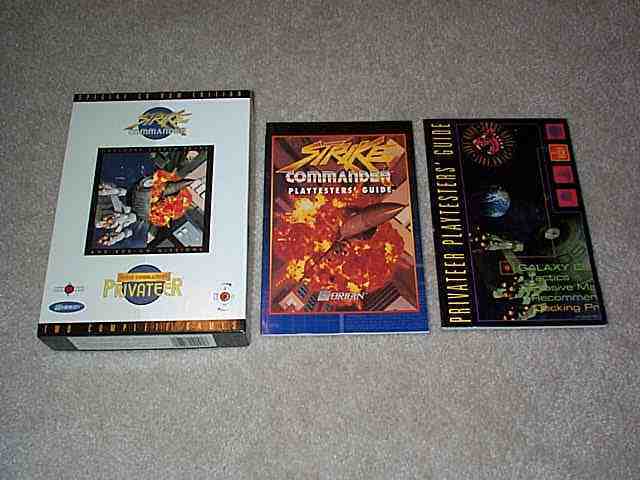 They've got dozens of categories, including DOS/Windows, Super Nintendo, Game Boy Advance, DVD and other platforms that had Wing Commander games on them. You need to be a registered GameFAQs member to nominate entries, and you can do so here. as some may already know I have been working on a WC:A style MMOG, Eternal Vigilance. 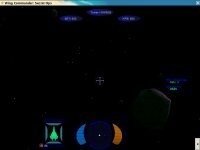 I would like to announce that yesterday I got the beginnings of the game working. 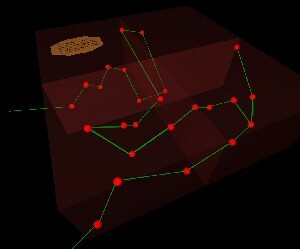 The client can now login to the server and logout and the structure is in place for the up and coming parts of the game. It is currently being hosted at sourceforge and the source is released under the BSD license. The project page is http://sourceforge.net/projects/etern-vigil/ and the project web site is http://etern-vigil.sourceforge.net/. 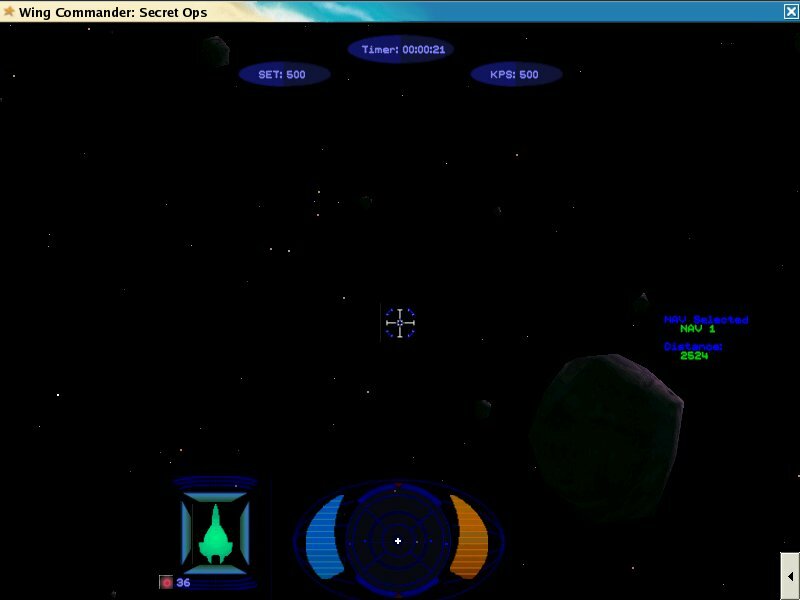 I put up some screen shots and am ware that the graphics are currently somewhat lacking. But, inquiries are being made so as to get them improved. Also, I put up the current working system map. I know it is rather social and if too much so, let me know and I'll tone down inter-system connections. BSD? Sourceforge!? I sure hope you SlashDot people are still reading. 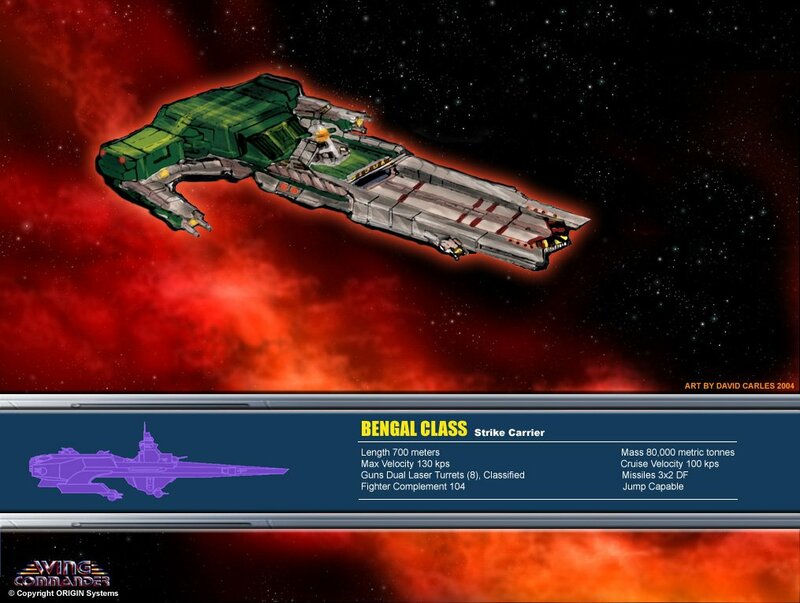 ....being a great fan of wing commander and starfleet command I thought hey it would be cool to command a bengal class strike carrier in this game. So I learned how to mod starfleet command and downloaded a 3D-modeller a week ago. 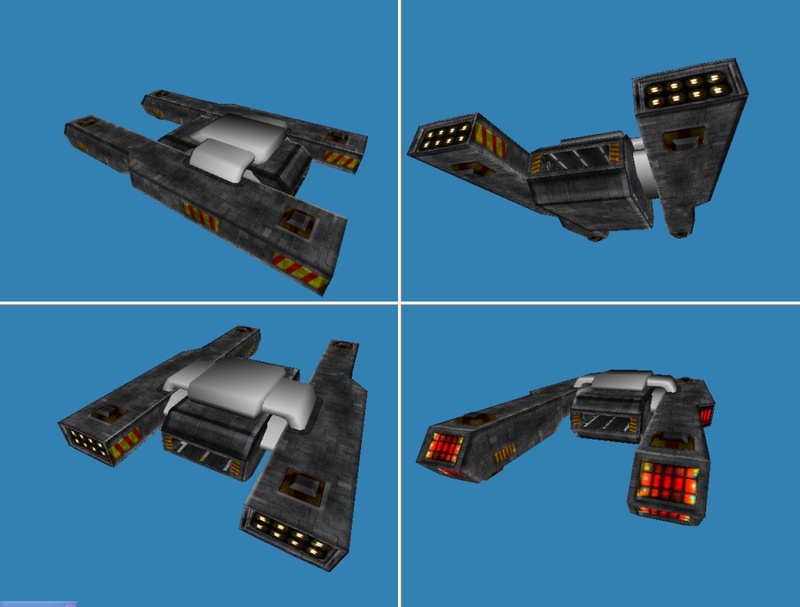 I made a triangle and then another and voilà, here’s my very first model and it works in starfleet command BUT I’d like to know some things: is the shape correct? 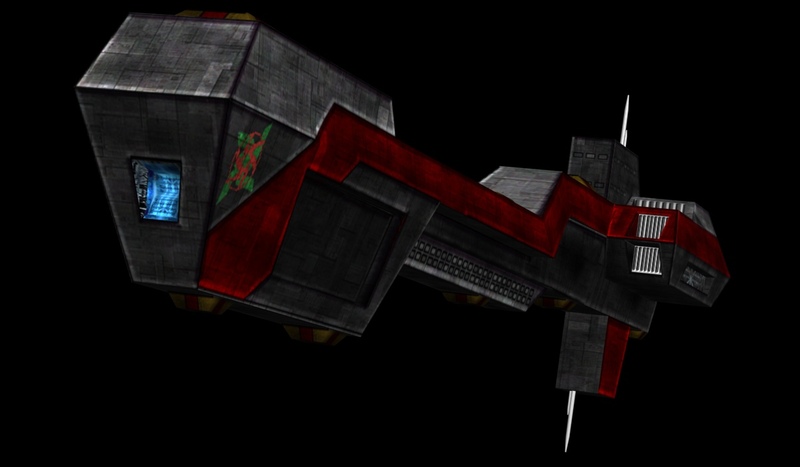 (I used the drawings from claw mark’s but they seem to be a bit inaccurate), do you like the textures and did I anything with this ship what’s not canon?Every opinion is welcome. 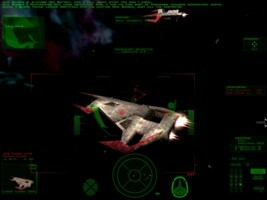 The Wing Commander Saga mod for Freespace 2 has released for exciting new screenshots! 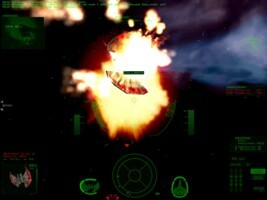 From left to right: a flight of Hellcat Vs, a Kilrathi fleet, a Dubav-class light carrier and... what's left of a Dralthi IV! 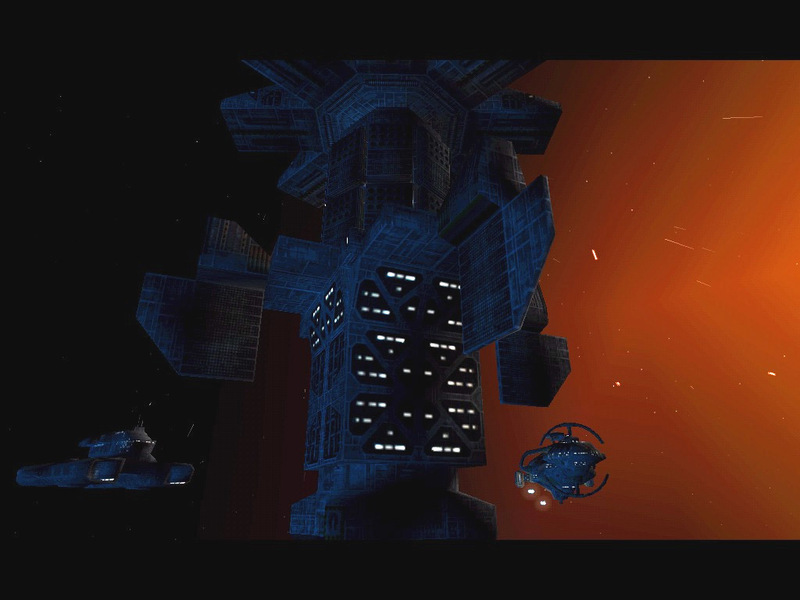 This mod is shaping up very nicely... it's certainly the only reason I can think of to own a copy of Freespace 2. LOS ANGELES, Feb 25 (Reuters) - Video game publisher Electronic Arts Inc. will close down its Austin, Texas studio, home to the "Ultima Online" franchise, by the end of April, the company said on Wednesday. 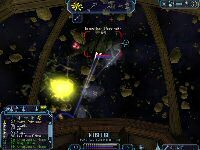 Rumors had spread in recent days across Internet fan sites devoted to Origin games like "Ultima" and "Wing Commander" that the Austin studio was to be shut down. Fair and balanced WCNews indeed! I'll be in Austin for a completely unrelated reason at the beginning of April, if anyone wants to get together and take a last look at the place. You can provide feedback at Crius here. Bob McDob has sent us four new screenshots from his Privateer: The Reckoning mod for FreeLancer. 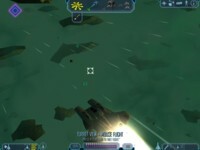 This is what FreeLancer should always be like! From left to right: a Talon, two Arrows and a Demon. The Reckoning has a forum here. 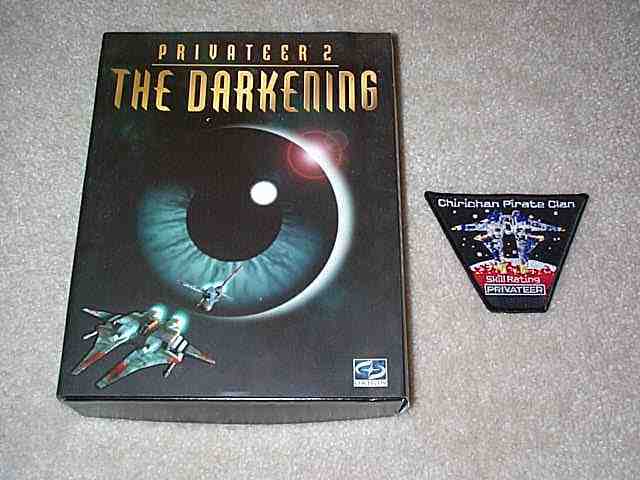 For twenty two years Origin Systems set the tone for the computer gaming. 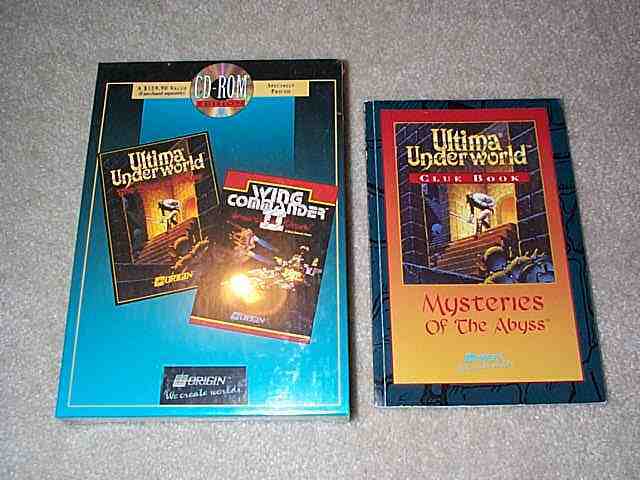 Ultima, Wing Commander and dozens of others set the gold standard for which the rest of the industry could only hope to catch up. This era has finally come to an end as Electronic Arts readies an announcement that it will shut down the Austin-based Origin studio. 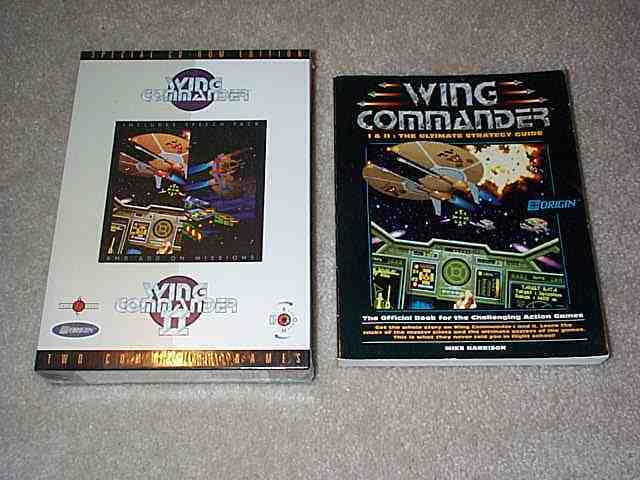 This is not the end for Ultima or Wing Commander. Ultima Online will now be run from California, and development of Ultima X will continue on the west coast. Hopes that another Wing Commander game would be developed in Austin were dashed long ago; the longtime belief that a California-based EA team would develop the next Wing Commander title may, ironically, be bolstered by this news. What it is, however, is a tremendous moral loss on all fronts. 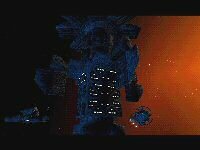 Origin Systems will always be the ultimate symbol of gaming's greatest days, and its dissolution to a faceless corporate entity is, sadly, equally symbolic of the world today. Origin entertained, challenged and inspired our generation in a way that seems impossible today. Though the individuals who developed our games long ago moved on to greater careers, the very existence of the company itself continued to stand for something special; something amazing. With your carrier destroyed, you drift endlessly through the void. After a bit of downtime the server is up and running again, but with a few less frills on the front page. Files and music downloads will resume as soon as the Slashdot effect subsides. If you urgently need a patch, you can ask us on IRC. Our forums are still up, but a little slower than usual. The Mad Hatter recently took his Roland Sound Canvas for another spin, resulting in eight sharp MP3s from Privateer. Simply put, the Sound Canvas device takes a MIDI file and turns it into something you might actually enjoy listening to. Note: Our FTP server limits the number of concurrent connections from a single computer so everyone can get a fair download speed. If you try to download too many files at once, your browser will show a generic, uninformative error message. It may appear as though the file is missing, but you just need to wait for a download to finish before starting a new one. If you downloaded any Privateer tracks from our music section in the past, you will want to make sure that you have the best versions. We've always had the Detroit and Perry themes available for download, but Mad Hatter's tracks are far better quality. 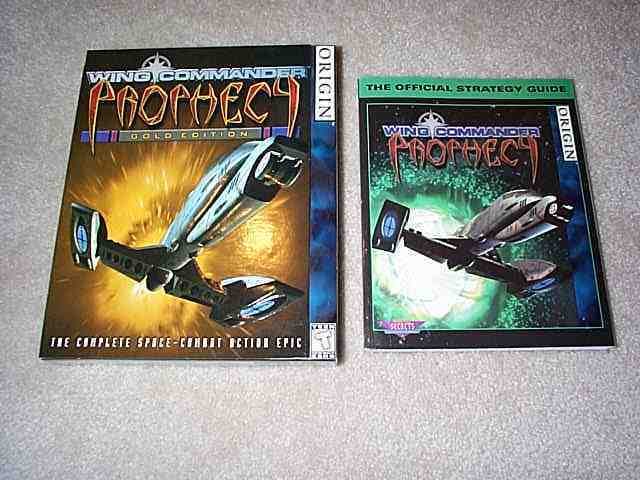 Over the last few months we've added entirely new or enhanced recordings of Prophecy and WC3 music. We now have close to 500 megabytes of MP3s on our FTP. 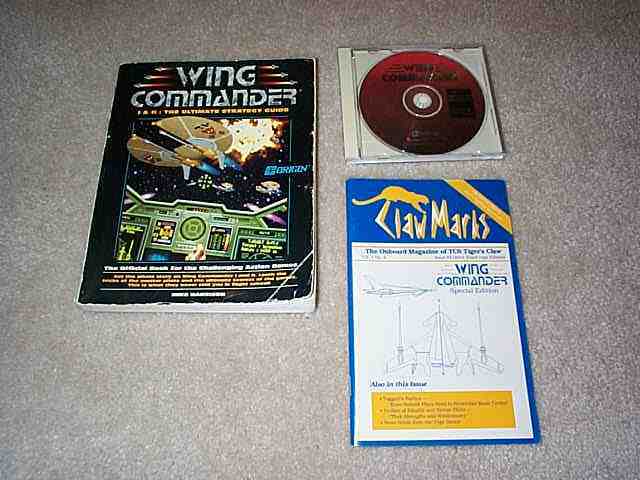 Make sure your Wing Commander music library is up to date. 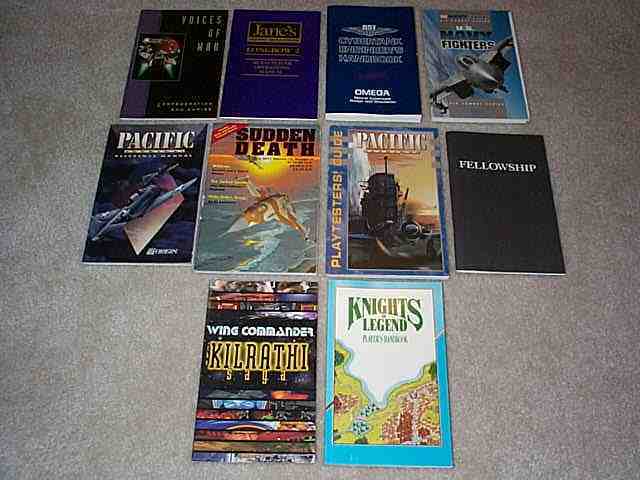 My writing partner Frank De Palma and I knew a story editor who was consulting for Electronic Arts. 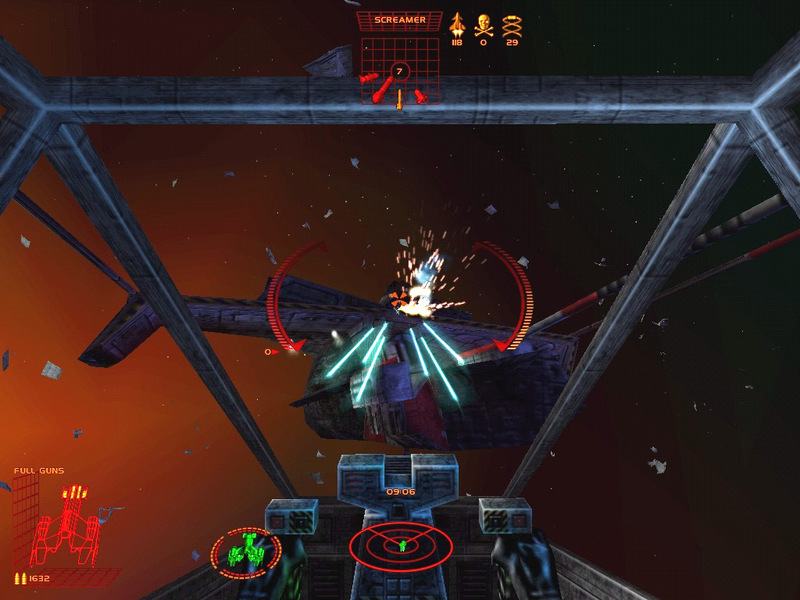 Electronic Arts and Origin were looking for professional screenwriters who could write the screenplay for WING COMMANDER III, which was going to shoot several hours of live-action dramatic scenes. They liked our work; we were hired. Fortunately, we seemed to "understand" (or quickly learned) what interactivity might add to a narrative, leading to our winning several awards for the work in WING COMMANDER III and to our participation in and development (with others) of WING COMMANDER IV. Apparently people actually pay attention to the some of the stuff I say. 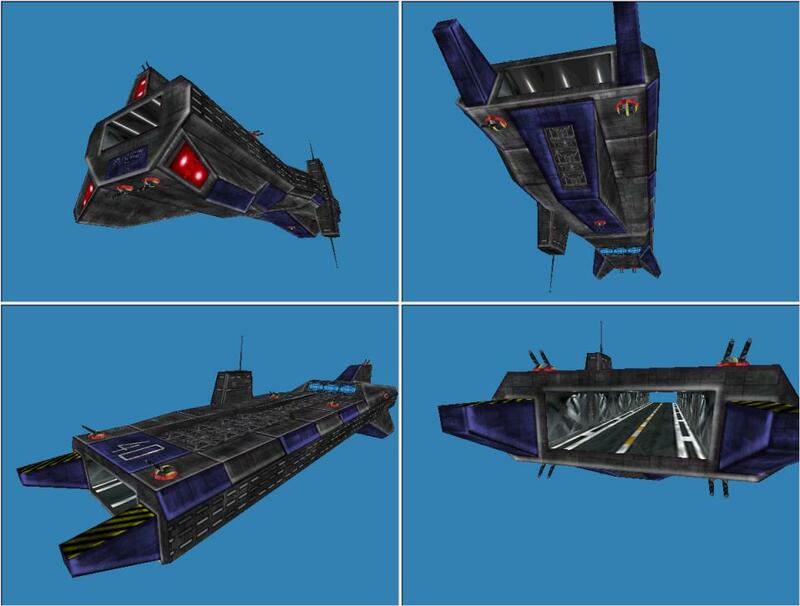 Wildcat dug through his vault to produce some nifty models that ultimately didn't get used for a project, but you can take a peek at them now. Well, I saw Chris' comment in the news about the lack of new models lately so here are a few that I made a while ago, complete and otherwise. It's been a while since I did any WC related stuff, but these models were for a site I was planning on making with models for anyone who needs them. It's still something I want to do some day. I can understand that sentiment. These are some fun ships with some personal touches. His unique style and coloring is neat for a change. Feedback on the designs are welcome here. 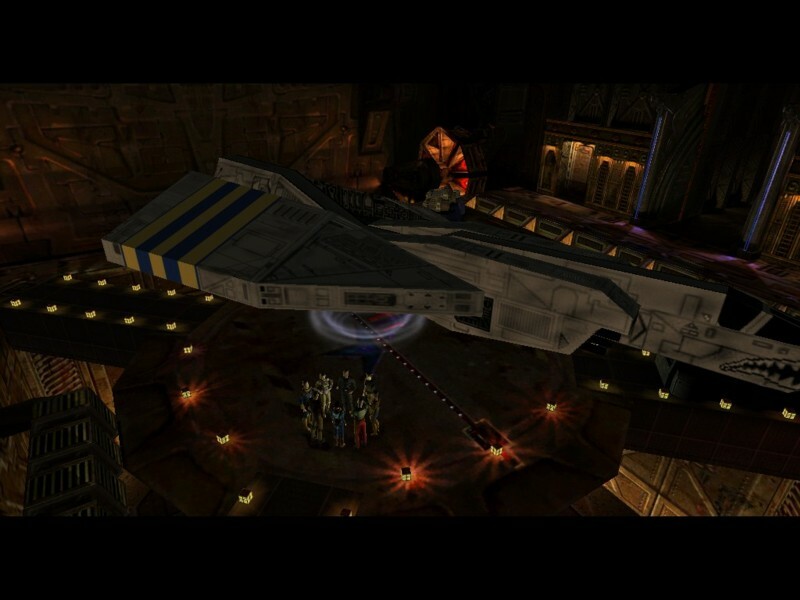 We like polls, and we especially like polls that include about Wing Commander. 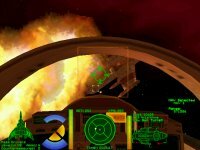 It looks like LancersReactor is running a general space sim survey right now. They're trying to find out which space sim sequel you want next. Not surprisingly, Freelancer 2 is in the lead. 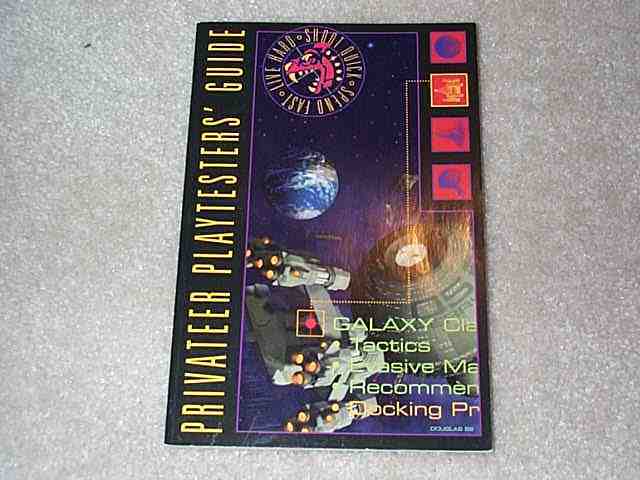 Wing Commander and Privateer get 15% of the vote though, and that is slightly surprising in this context. After WC, I wouldn't mind a new Starlancer myself. Sadly, none of their options are officially in development, though I'm quite sure we'll see a couple of them some day. You can vote in this poll here. Have a good day. 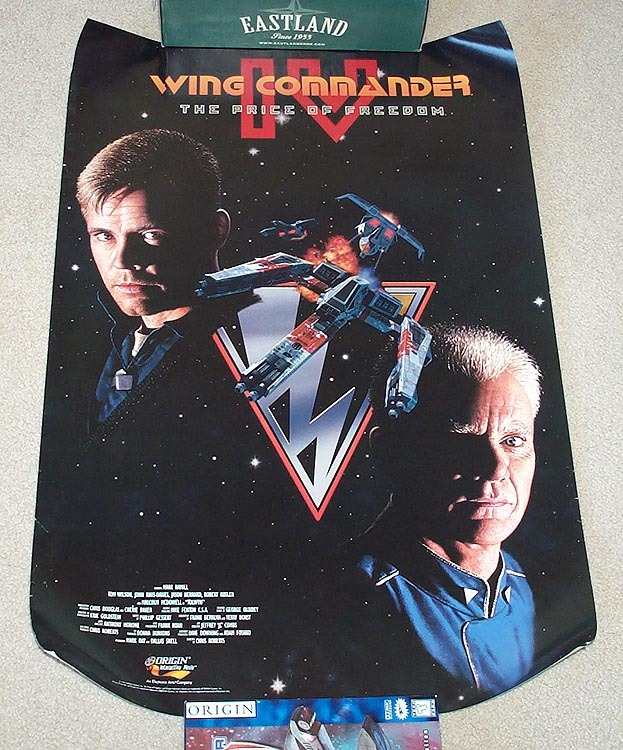 Just wanted to be sure and remind everyone that Sean Murphy's Wing Commander poster auctions end today! 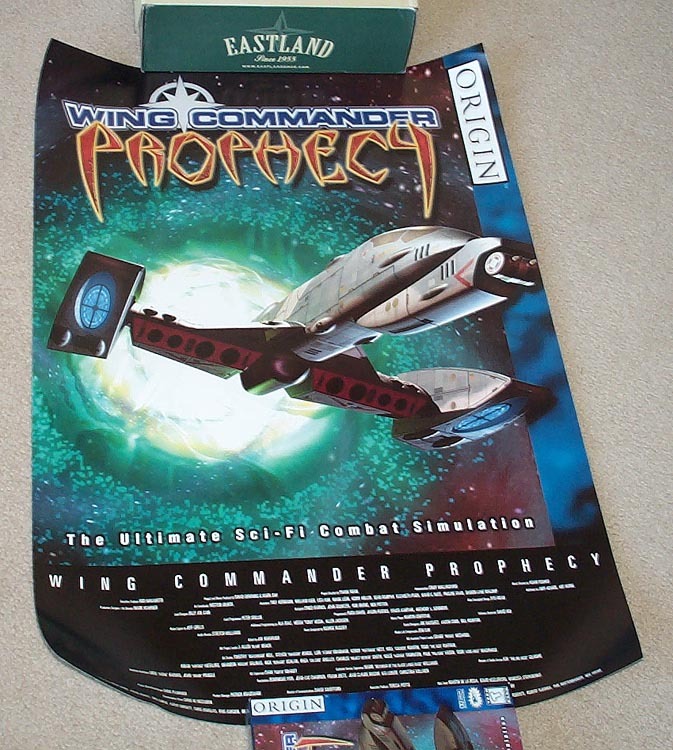 Wing Commander IV and Wing Commander Prophecy "theatrical" posters are available - you can find the auctions listed here. Best of luck to all involved - the posters are excellent collectables! 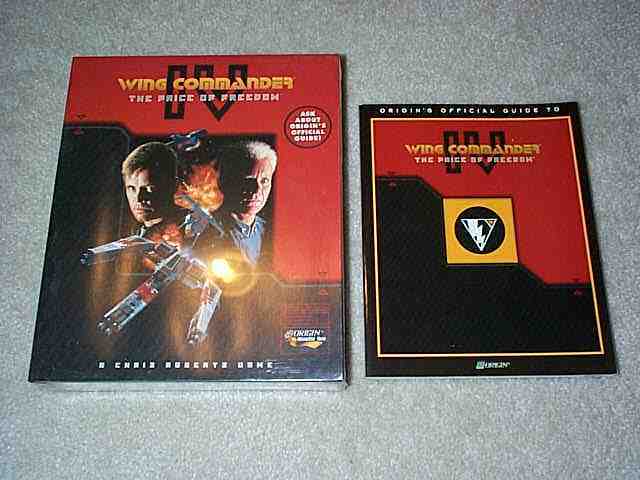 Just wanted to remind everyone that Rhea Shelley's first set of Wing Commander auctions ends in just six hours! 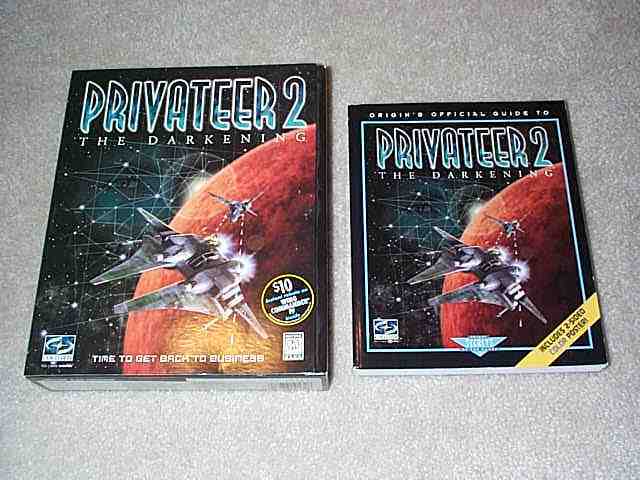 The auctions include things like Kilrathi Saga, Prophecy Gold and Privateer 2 Deluxe... you can find a complete list with links in our previous update. Good luck to all who are bidding! Dishwasher, who kindly provided us with a mirror for our Academy episodes had been suffering a bit of server trouble, but now he's back with a complete FTP full of our DivXs. Thanks Dishwasher! If you wanted to get a custom CIC Polo shirt, let us know right away. We'll take regular orders in a short while, but if you would like your name or callsign printed on the shoulder, your order must go in with the regular production batch which will be started soon. Otherwise the shirts are standard black polo style with the main CIC logo and url on the left breast. Standard cost is $20 with a bit extra added for customization, overseas shipping or the largest sizes. Full details and answers to your questions can be found here. Edit:. Got a bit of an update here. The Custom/Pre-order Deadline has been extended till MONDAY Feb 23rd. Even if you don't want a custom shirt, pre-ordering guarantees a shirt in your size. We will only be ordering limited quantities of the smaller and largest sizes. And to clarify, payment wouldn't necessarily have to be in by then. I was reading a random CNN article and it reminded me about an old in-store Electronics Boutique deal. Apparently the chain came across a huge stock of unsold copies of Starlancer and has sold them for $1.99. I cleaned out my local stores a long time ago, but their deal is still running online. 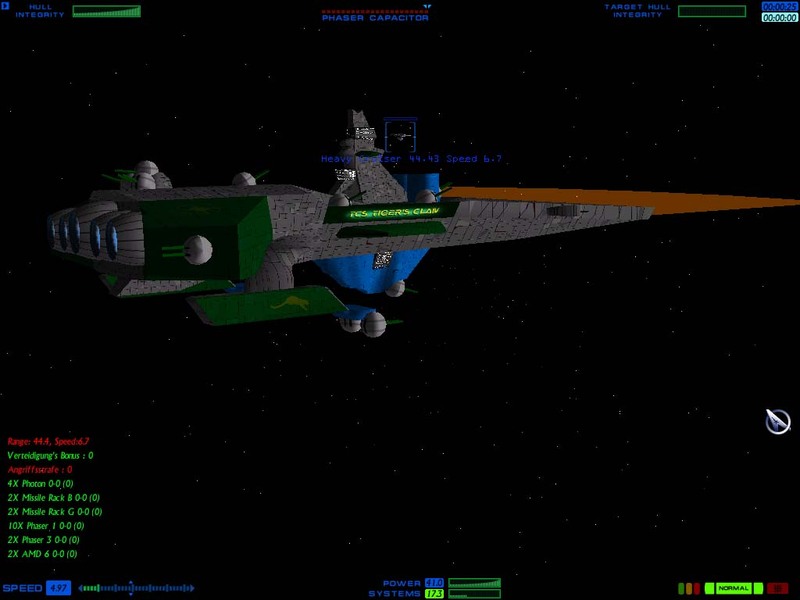 Among the non-Wing Commander space sims, Starlancer ranks as one of my favorite. 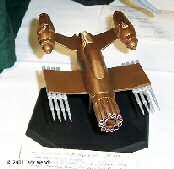 It was made by Erin Roberts and a number of other Wing Commander veterans at Digital Anvil in the late 1990s. Like most space sims, it lacked some of the atmosphere that so fully colors the Wing Commander universe, but it was still a fun game. 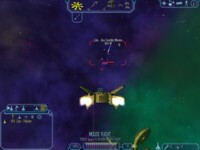 It also featured very neat cooperative multiplayer through the main campaign. I think many people didn't take advantage of this feature at the time, but for $1.99 there's few excuses not to give it a try now. Shipping gets as low as $1.99 too. Still not tempted? There is also a demo you can try. Variety is reporting that Chris Roberts' next film project with Ascendant Pictures is going into production! Chris plans to direct "The American Knight", a romance set against a backdrop of World War I air combat. 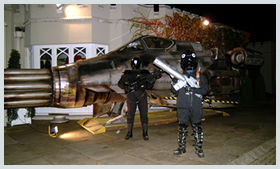 The script is written by Chris Roberts, Duke Selley and Joshua Rubin. Here's the description: "An American pilot in a British air squadron is torn between fighting the good cause of the war and vying for the love of a French woman, the latter of which leads to an air-combat confrontation with the Red Baron." That's right, they're finally making a movie of Wings of Glory. Whew! 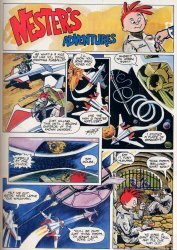 That's all for now - though Rhea Shelley is also selling numerous other games and more RPG material than I've ever heard of existing in one place. You can find a complete listing of these auctions here! 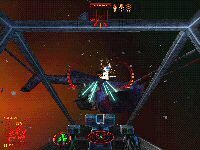 I suppose I'd also be remiss without mentioning that he's got a copy of Wings of Glory for sale... one of the most unappreciated games ever made! 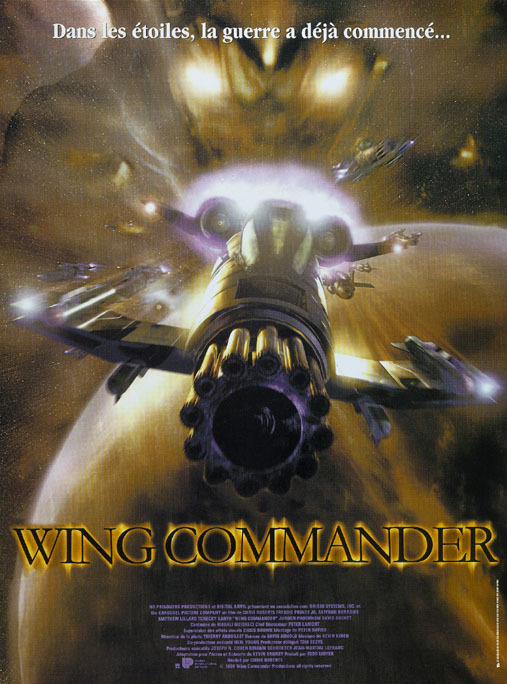 If you enjoyed any of the 'talking heads' Wing Commander stories or any of the other Origin flight sims, you owe it to yourself to pick up a copy of WoG! We'll keep you updated as more auctions show up. Fralthi IIs are apparently really popular these days as Forums poster Zohrath has created the second Fralthi II model we've seen this week. 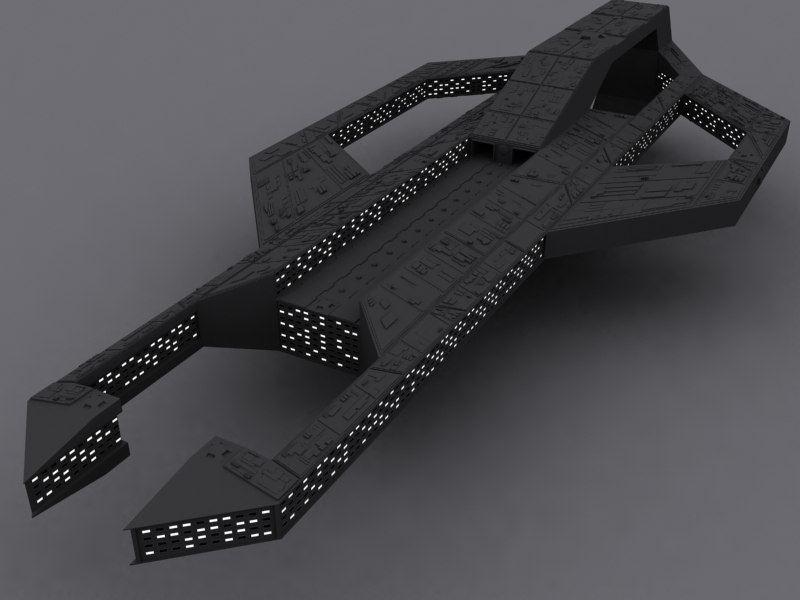 This one is currently lacking textures, but already looks incredibly detailed. You can discuss the work in progress in this thread. It's getting to be that time of year again, so there's a lot of EA news popping up. Most recently they've announced that they have acquired NuFX, a company they have been collaborating with for some time. NuFX's credits include the original Atari Lynx Rygar and many others. They have developed a number of EA's recent basketball and soccer games, so this move is mainly just an official way of assimilating them into the collective. Quote from GameSpot. The games that NuFX has produced have been pretty fun, so here's hoping they get all the resources necessary to keep it up. If you're all alone this Valentine's Day, and even if you aren't, don't worry. Raptor still loves you. To prove it, here he is with another HTL chapter. HTL continues with another chapter in my "Into The Inferno" series, which follows Battlegroup Valkyrie and its allies through the big Finale battles. This chapter changes direction quite radically from the last one, which focused on strategy and politics, the big picture. This one looks more at some of the pilots' feelings about the situation, and their reasons for doing what they do. Please send any and all comments back to yours truly. Here at the CIC, we'd like to wish you all a happy Valentine's day and we hope everyone has a great day. To celebrate, here's the Love Arrow! Rambo was digging around in the old movie vault and came across Implicated. 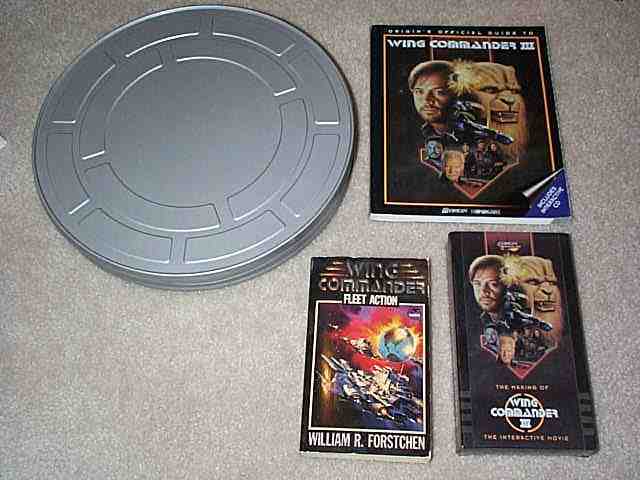 It's a low-budget 1998 movie starring Elizabeth Barondes who played Panther in Wing Commander 4. She's even sporting the same hair style, so Rambo was quick to grab some screen captures and send them to us. He's got a bunch of other pictures here. 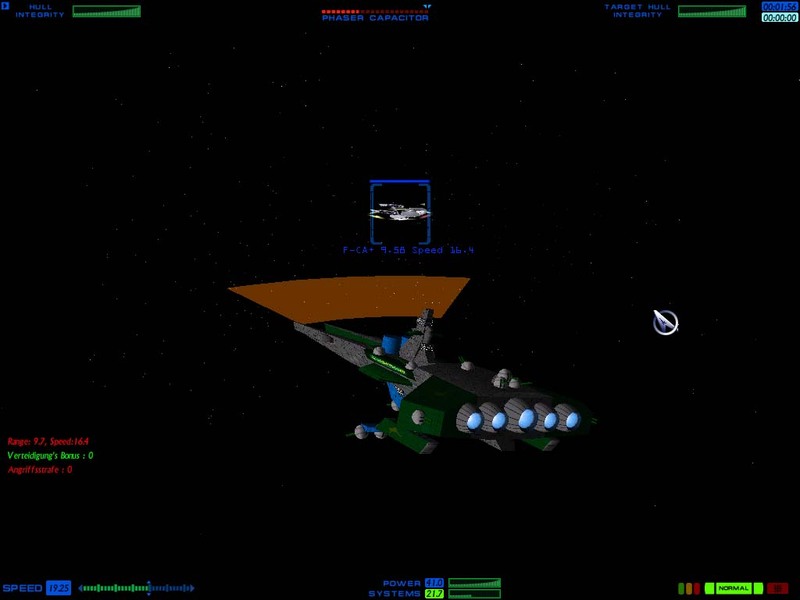 Wing Commander Galactic Conflict has gotten a bit of a face lift. They've got an actual website in addition to their role playing forums now. It provides a little background and cleans things up a little, though not all the links do something yet. 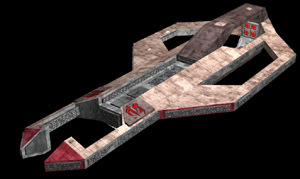 They'll also be focusing more on Kilrathi conflict in the near future with their game. 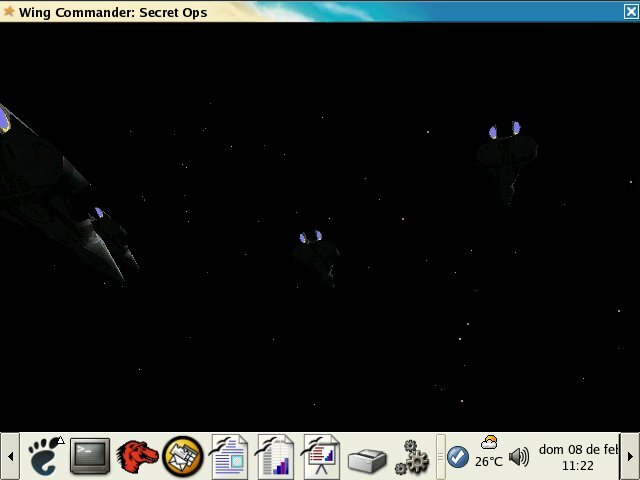 Sylvester has started up a new WC role playing game called Wing Commander: The Second War. 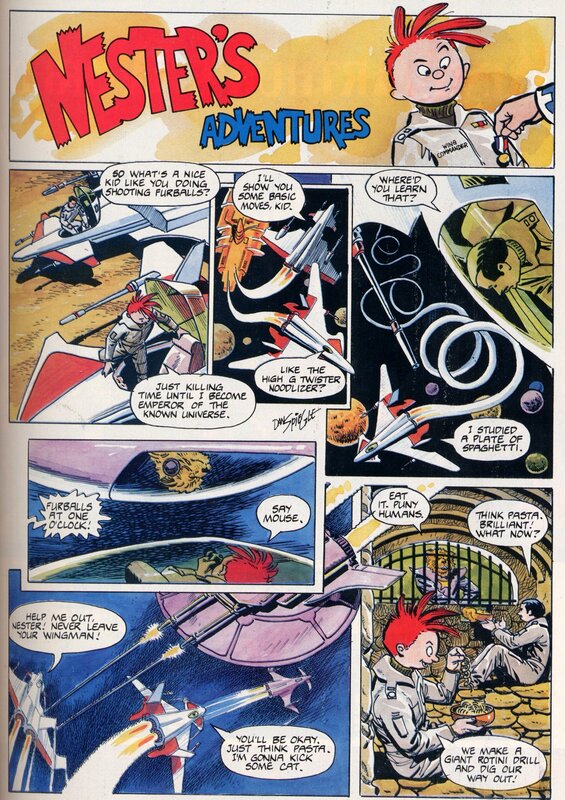 It takes some wacky liberties with the WC universe, but if you're looking for outrageous weapons and more Kilrathi, that's where you should go. If you missed it earlier, Penny Arcade did a comic referring to the EA Super Heroes we mentioned earlier this week. Here they consider the generic turn some of the Electronic Arts games have taken lately. Master artist Lynx has reworked the Fralthi II Cruiser for the WC Saga project. 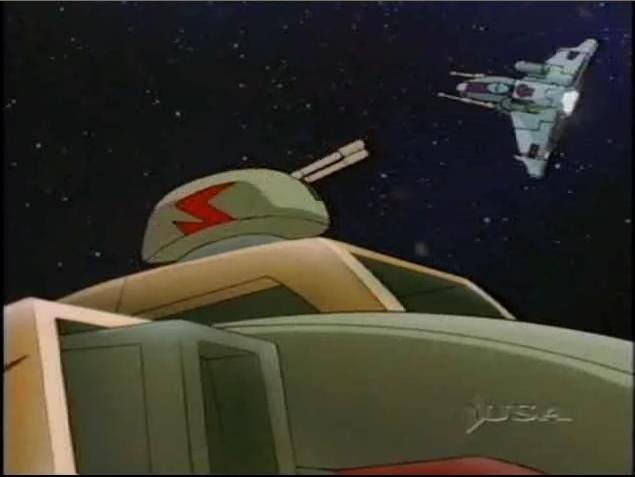 It's been a little while since we've seen a new ship, and this one is really a beauty. That's really neat. 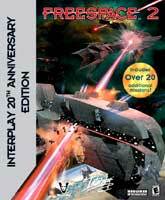 Interplay is still taking preorders on the special rerelease of Freespace 2 as well. Jibbo has hammered out a lot of details and is ready to take preorders on your very own CIC polo shirt. Although you're welcome to wait until production is complete and we have more samples of the shirt to show you, it appears we have the opportunity to customize the shirts a bit. If you'd like a name, callsign or other personalization on the left shoulder, we would need your confirmed order before the first batch is sent to production in a few days. Details on ordering can be found here. Filler mocked up an image of what the shirts will probably look like when complete. Shirts shipped to North America are $20. Overseas shipping, customization and the largest sizes are a few dollars extra. GameSpot had an interesting article about major EA brand Maxis moving to EA's giant new Los Angeles campus. We had some concept shots of it last year, and it's a pretty crazy looking place. I believe the field outside is even a level in the new NFL Street game on GameCube, PS2 and XBox. Although a skeleton crew lead by Sim City/Sims creator Will Wright will remain at their old studio, this consolidates one of their last big studios with Westwood having been shut down and moved to California last year as well. I noticed you reported about the Allegiance source code being released to the public, but you left out an important detail: the Allegiance community has already started delving into the code, and they've set up a CVS mirror. 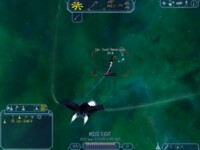 Go to http://www.freeallegiance.org/ to see the work that's already being done, and to play the game for free. The FreeAllegiance website certainly looks interesting... plus, their stubby little fighter is adorable. You can discuss Allegiance at Crius.net here. Claw Marks writes to tell us that Ser Arris himself, Clive Owen, will be playing King Arthur in... King Arthur! You can find the spiffy new trailer online at Apple's site here. Presumably, this is one movie where they won't end up editing Merlin out. It seems that the art of stellar cartography isn't dead yet. Bob found this site which takes the CIC's universe maps and converts them in to XML. The XML generator seems to have been written by Michal Banach for the Vega Strike project, hence why the generated XML contains non-canon statistics such as number of planets. We've noticed that people have been selling copies of Academy episodes on CD or even as VCDs on auction sites. Presumably the episodes are just copies of our own rips. Before you dash off to buy, remember that all of the episodes are available to download from the CIC - free! 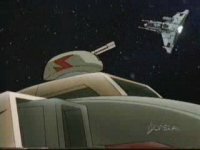 So once again, here are the URLs for all of the episodes. You can find more information on the series in our WCA section. 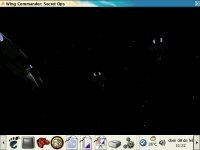 It has been over three years since we wondered about the possibility of running WC games on alternative operating systems with the aid of an emulator. Now courtesy of Pepito "Peña" we have received our first report of a WC game running under Linux with the aid of the Wine emulator. It isn't perfect as the game will sometimes quit randomly, but it's a start. Know of another WC game supported by Wine? Let us know! HotT found an old article on game to movie conversions that we missed back in the day. Article like this are mostly all the same, but typically the author claims to have seen most of the movies that the feature trashes. We're not fortunate enough to get that treatment here. Who picked this guy to write the game to movie article? A couple of the movies on his list aren't that bad (and he's seen them). If you'd like to check them out, you can find the article here. 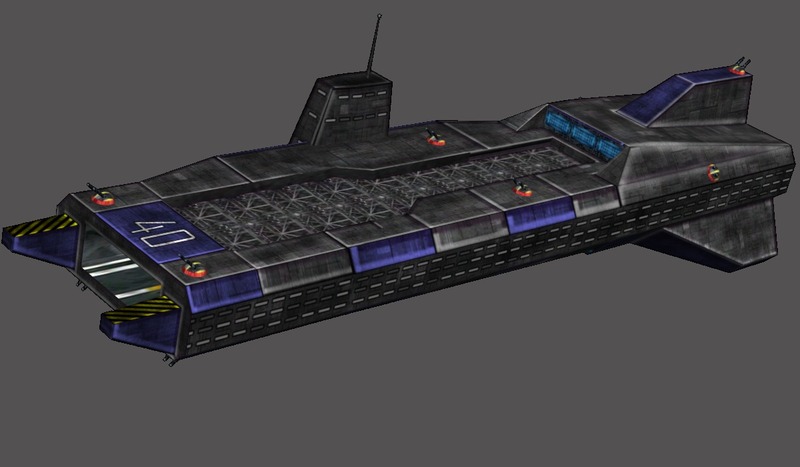 Hot on the heels of Standoff's Fralthra comes their new Exeter model which will be used instead of the Gilgamesh in certain points in the game. In other Standoff news, the cockpit struts for their Gladius and Sabre fighters have been completed. 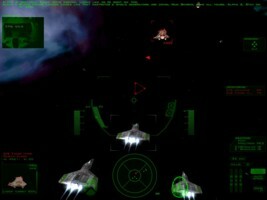 The cockpits will also be used for the Ferret and Talon, which will be simulator-only fighters. Several additional screenshots are available on the Standoff site. 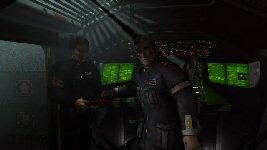 Wing Commander owner Electronic Arts recently released their financial data for the last quarter and has once again achieved record results. From October through December, EA made $1.475 billion, which is a 20% increase compared to last year. When their fiscal year ends in March, they expect a yearly total of $2.92 billion. No doubt next year they'll break $3 billion. 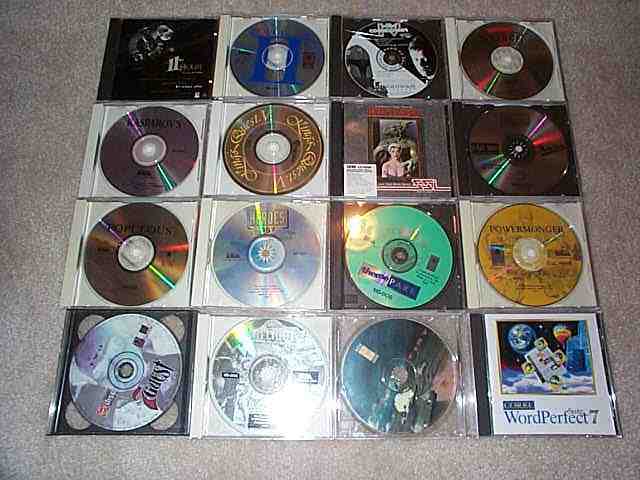 In the last quarter EA released eleven titles that sold more than a million copies to total twenty-seven such hits during 2003. 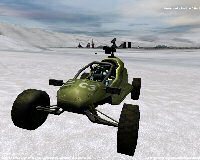 In 2002 they had "only" twenty-two games break a million copies sold. Their next year will be even bigger with new iterations of The Sims, James Bond, Ultima, Medal of Honor, Battlefield, Lord of the Rings and more. You can find their latest investor press release here. Apparently people were eager to vote for which character they'd like to see return in a future game, so this week we're looking at which character you'd like to come back in a future novel. We've narrowed it down to popular novel characters still alive in the "current" frame of reference, though I suppose prequel novels and other things make many more people possible. Maniac won our last poll, with Paladin, Panther and Bondarevsky coming in after that. 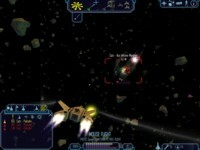 The latest Derek Smart space sim is out the gates and on store shelves now. Originally entitled BattleCruiser Generations, it has been prediscounted to $19.99 with the new name Universal Combat. The game features regular spaceflight and lots of exploration, and even lets you go down to planets for first person combat. A lot of previous games in the series have sounded good on paper with tons of neat features and great freedom, but have also been plagued by occasional bugs and other problems. "Other problems" is a bit of an understatement when you look a bit closer. The infamous Mr. Smart is engaged in yet another episodic outburst over this release. He has sued to halt the publisher from releasing the game and outlined a bunch of reasons why Dreamcatcher Interactive is a mean company. As usual, this behavior has overshadowed the actual game, which has gotten pretty good initial impressions so far. It looks neat, and for $19.99 it's probably a good buy for people looking for a real epic game that touches on many different sci-fi aspects and genres together. If you curious about the latest legal flare-up, Smart has put together a little manifesto against his publisher here. When I sign a contract, it is to do three basic things. Those are indeed the three things he signs on to do. What's An EA Super Hero? Electronic Arts has just announced that they will soon be partnering with Marvel Comics to launch a new fighting game franchise featuring Marvel characters versus original EA super heroes. The game will probably end up along the same lines as Marvel vs Capcom or Capcom vs SNK which have been fairly popular over the last couple years. That just leaves the question: what exactly is an EA hero? This is a tremendous opportunity for EA to create new characters for fighting games that can be exploited through our global merchandise licensing machine to fuel sales in many other product categories. How's that for business language? Apparently upcoming Marvel comics will introduce the new EA characters that will appear in the fighting game. I just keep imagining Hobbes in a mask, cape and tights fighting Superman. You can find the announcement here. 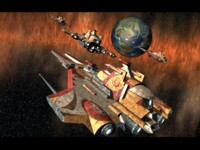 Delance recently went searching for Rapier fighters and came up with several interesting shots. I think we've reported previously about one in a different context, but I bet these are new to most people. The first is a French movie promo poster. This design was relatively common outside the US, and it's a lot more exciting than the one we got most often. The second shot is a model Rapier created by Joe at StarshipModeler.com. It was on display at their WonderFest last year. 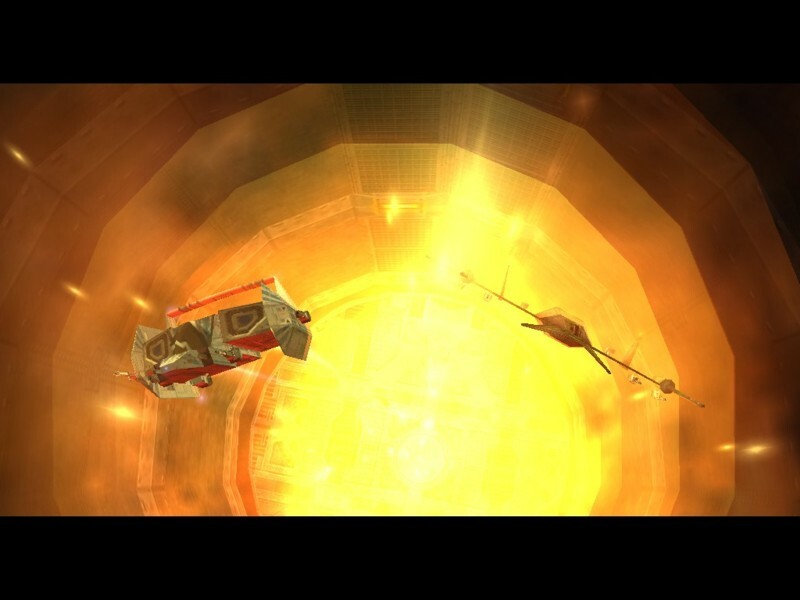 The last shots come from Weird and Wonderful, who own one of the Rapiers used in the movie filming. 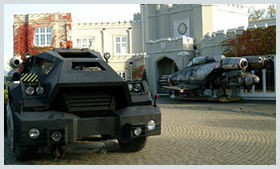 They have big props such as that available for use at special promotional events. 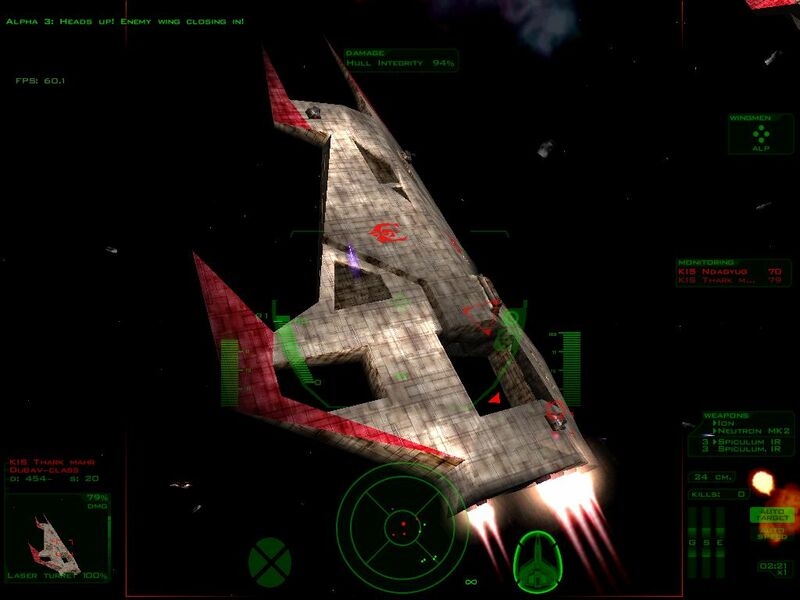 Shiryu has put together an electronic techno track inspired by the Wing Commander movie. Pilgrim clocks in at about 8 megs. If you like that one, there's a faster and more upbeat remix called Pilgrim Redux that he sent along for us too. It's just one of my many hobbies, music making. I just saw (and loved) the movie for the first time last year, and that's when I used the samples and made the songs, just like that. Freelancer and Babylon 5 were like that too. If I hear something noteworthy of putting on a music, or I think a music should be in a particular part of a game, I do my best to put what was in my head to reality. What's Mark Hamill Up To? PeteyG noticed that TheForce.net just conducted a full interview with Mark Hamill. It touches on a lot of his recent comic book related work and the parody film he's just written, directed and starred in. Hamill is always excited and fun to listen to, and that even comes through in interview transcripts. It begins here. MH: Well, I mean, originally I was hoping that I could just direct this and not have to be in it, but they really wanted me to be for obvious reasons. I'm pragmatic about that. If it helps the project for me to be in it of course I will, but if it is a situation where they don't want me in it, but want me to direct, that would be very appealing. Then you could just concentrate on the one thing. 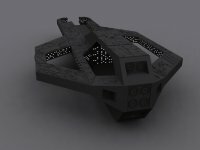 There was a delay with our regularly scheduled CIC updates for today, so Antman stepped up and sent us a nifty 3d representation of the Hari Sector from Fleet Action. It'd be neat to be able to zoom in and rotate something like that. While for the most part trading on eBay is safe, you do occasionally get unscrupulous people. 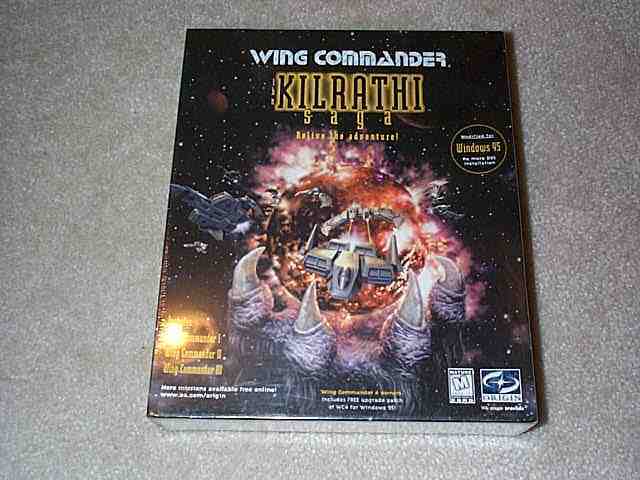 Currently one seller is offering what at first glance appears to be a copy of Kilrathi Saga for $59.99. 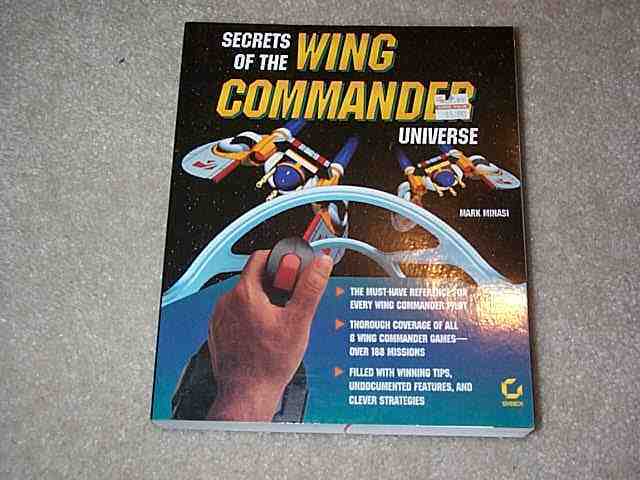 What this person is in fact selling is cheats for the game, but the cheap Buy It Now option may catch some Wing Commander fans off guard. People have already been duped by his other auctions, one to the tune of over $200, and the bad feedback will hopefully get his account cancelled soon. eBay has been notified multiple times about these auctions, but right now they are still running. Remember when buying from any auction site to check feedback and be 100% sure of what you're bidding on before you bid. 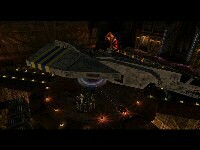 Various sites are reporting about a major project to recreate Origin's classic Ultima V in the Dungeon Siege engine. It's getting a lot of positive press and seems to have some good momentum right now. 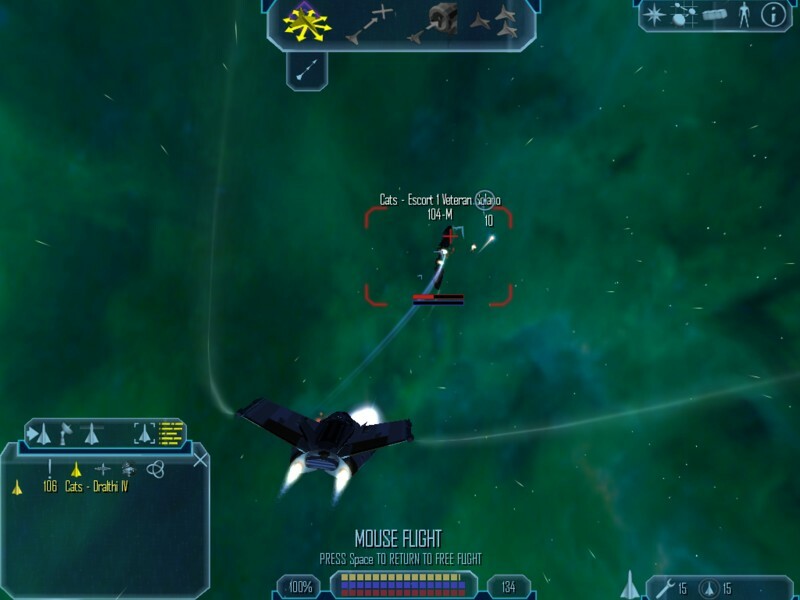 A playable test demo has been released to let people try out what is available so far. New mods come and go every day, but the attention this one has gathered is a tribute to the popularity of many of Origin's original franchises. You can check out the Ultima 5 Lazarus Project here. Bob has gone ahead and captured a variety of screenshots from the Freelancer single player missions using the latest build of the Reckoning mod. 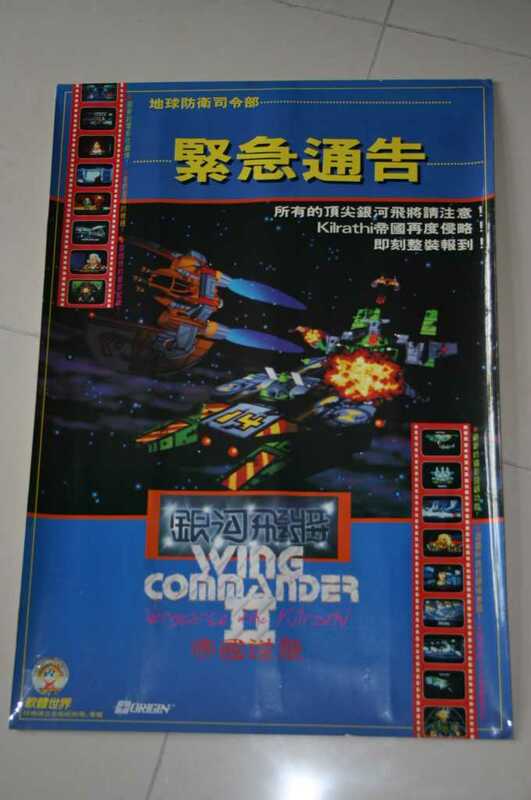 There's some really great Vindicator, Hornet and Thunderbolt action to see, and those are just the beginning of the Wing Commander ships included in this project. It looks like a lot of fun. 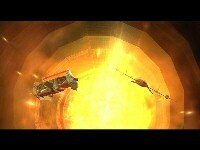 We reported about the download and installation options for The Reckoning last week. You can discuss these latest shots at Crius.net here. 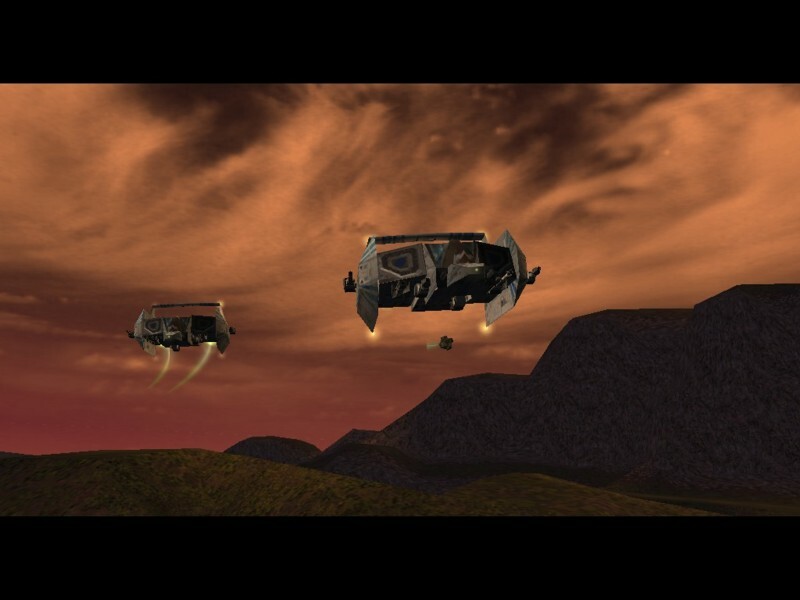 One of our sibling sites in the Ultima community, UO Stratics is reporting about a neat focus group for people who have played Ultima Online. If you live near San Francisco, California, you might be eligible to talk about your likes, dislikes and viewpoints on the game. They're looking for about seventy current and former players to participate, and each person will receive $100. The events will be held in just a couple days, so if this sounds like your kind of thing, get involved immediately. Are you a former Ultima Online subscriber? Do you live in the San Jose or San Francisco areas? Do you want a $100? 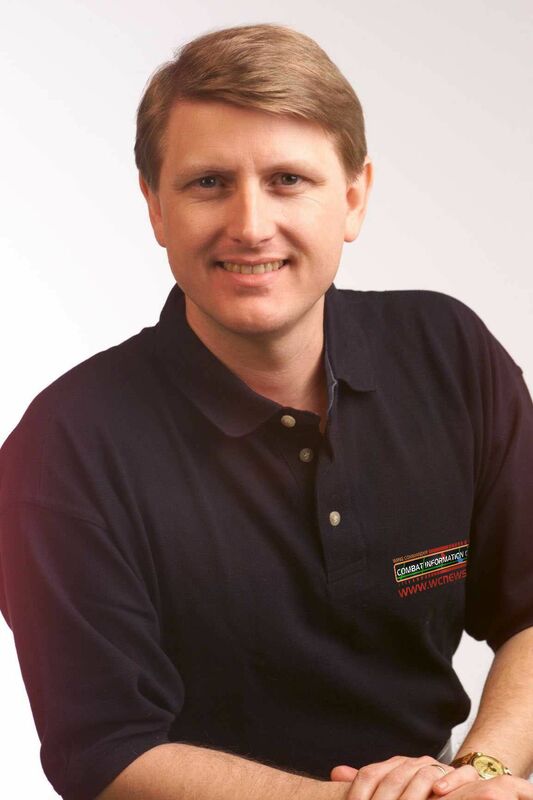 All you have to do is tell the Origin team what they should do with the next Ultima Online project! Origin, through a contracted research firm, will be conducting focus groups Feb. 4 and 5 in Sunnyvale, CA (near San Francisco and San Jose). There will be six groups, with 10 to 12 people in each. If you are interested in participating, call Nichols Research at 1-408-773-8200, ext 2020 or email erecruiting@nicholsresearch.com. Mention "Project #C3032" when you contact them. You can find more information in Stratics' new post here. The forum-based role playing game WC Galactic Conflict has added the Union of Border Worlds to their roster of playable factions. This presents a new opportunity for potential new players to find a spot and fit in. The Kilrathi Conflict forum seems to be where the action is now. The TCS Santa Cruz takes up an Orbit around Earth, matching the orbit of the move. 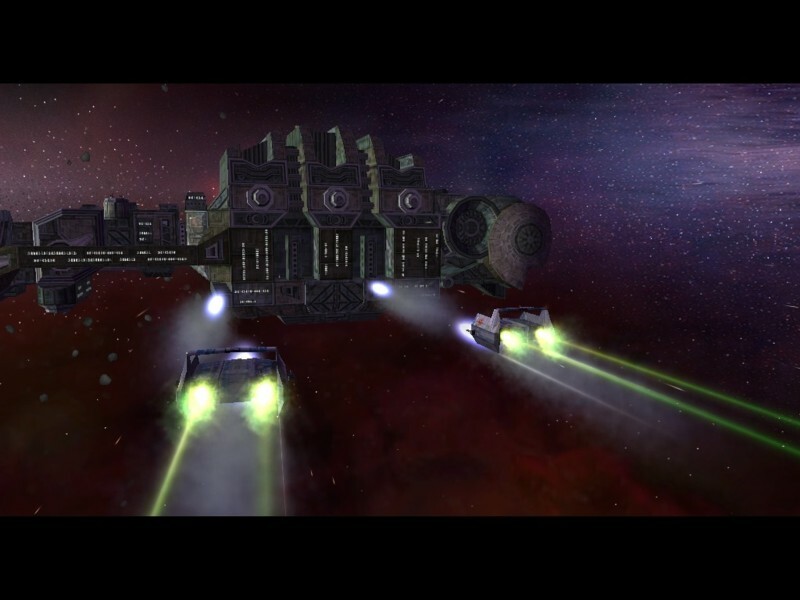 She is flanked to her left and her right, and slightly trailing, by her twin cruiser escorts her. Above her and below her, in the same triangle formation, are her three corvettes, and outside of them, her destroyers. 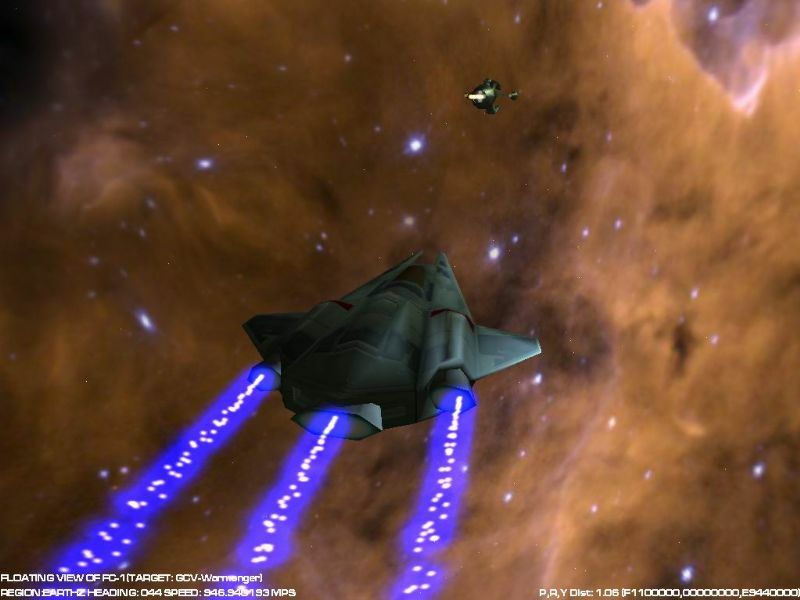 You can visit the official Galactic Conflict site here. 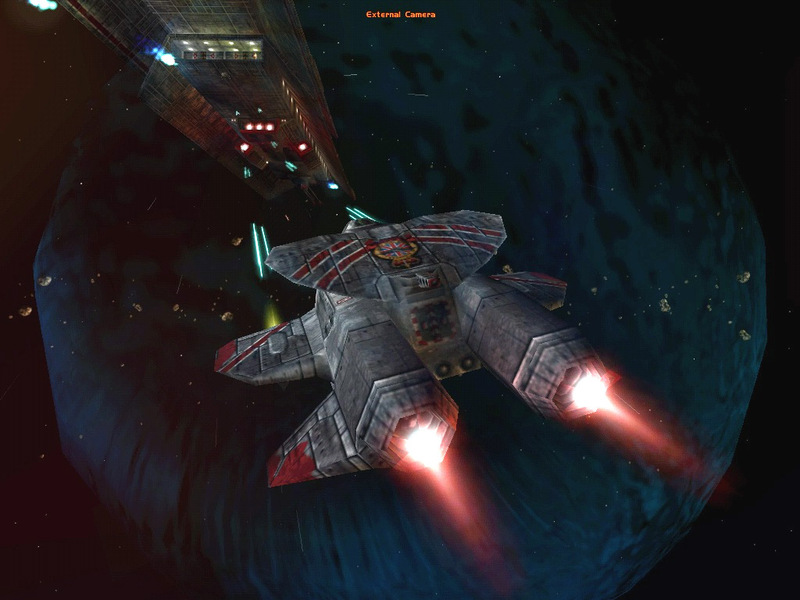 It looks like Interplay is giving Freespace 2 another shot. 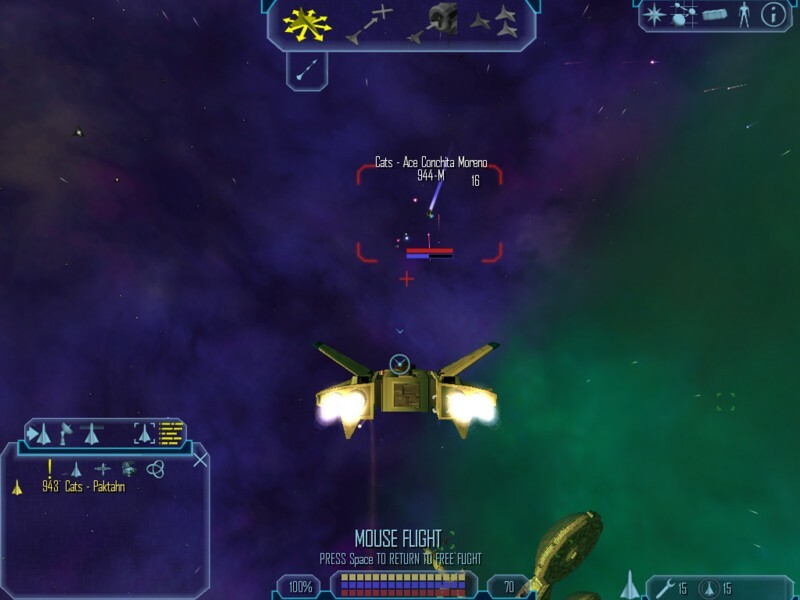 Although a Freespace 3 has been discounted for a long time (and developer Volition has split from their publisher), Freespace 2 got some of the best review scores of the recent space sims. 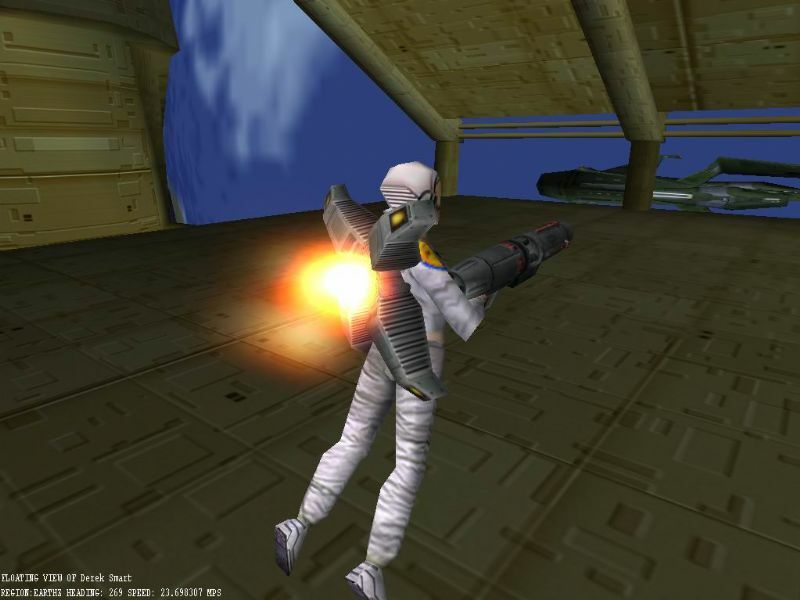 On top of that, the source code was released and distribution of the game was made legal. 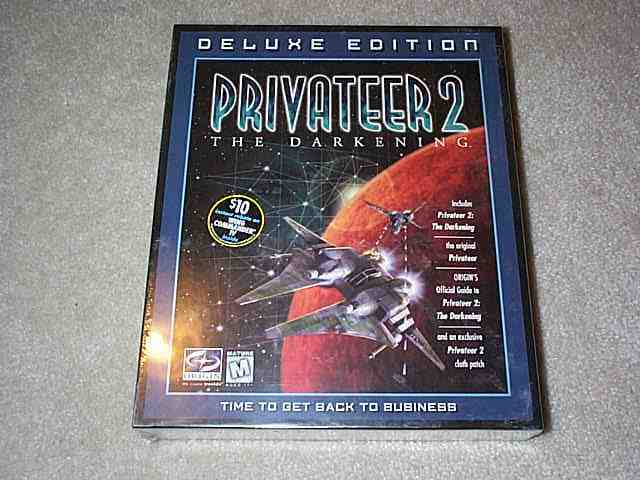 Not a lot of actual copies of the game were made however, so supply and demand has made boxed Freespace 2s somewhat rare. To capitalize on this, a special limited print run is being made. The year is 2367. Thirty-two years have passed since the Great War. As Terrans and Vasudans struggle to rebuild their civilizations, civil war erupts in the Polaris system. 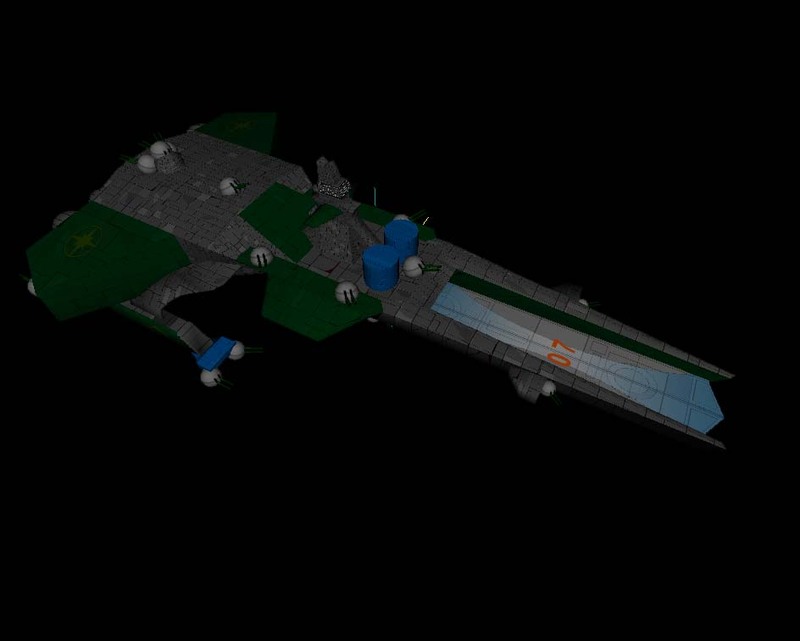 A rogue Terran admiral declares war against the Vasudans, threatening the stability of the Alliance. 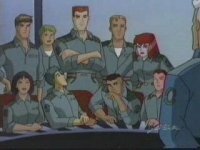 Without warning, the Shivans return, and Terrans and Vasudans face annihilation at the hands of their Great War nemesis. Due to popular demand we are re-releasing a limited production run of the "Sci-Fi Sim of the year edition" of Freespace 2 available only at our online store. You can preorder a copy for $49.95 here. Sound expensive? Soon you'll be able to add the WC Saga mod to it.